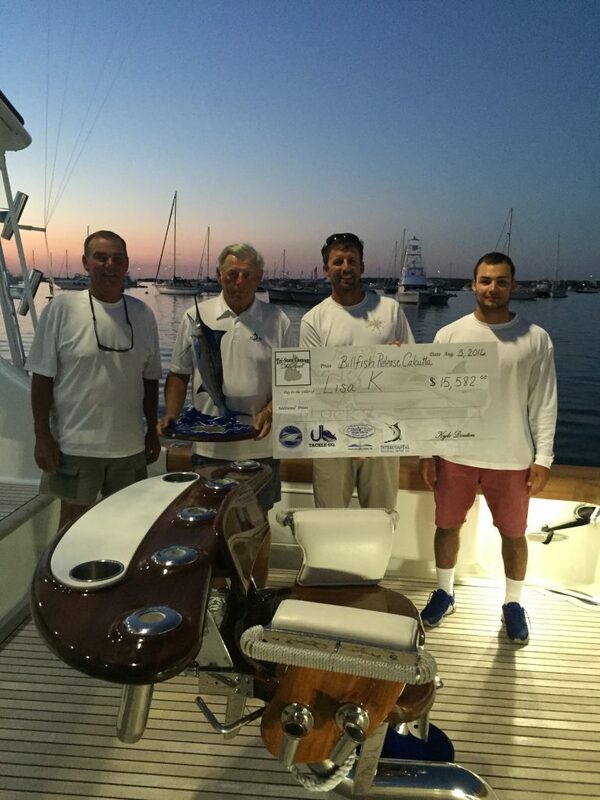 The Paul Mann 67-foot LISA K won the billfish release category by a big margin with a fantastic number of seven white marlin releases during one of the Northeast’s most competitive and popular tournaments, the Tri-State Canyon Shoot Out, July 31-August 3, 2016, in Block Island, RI. 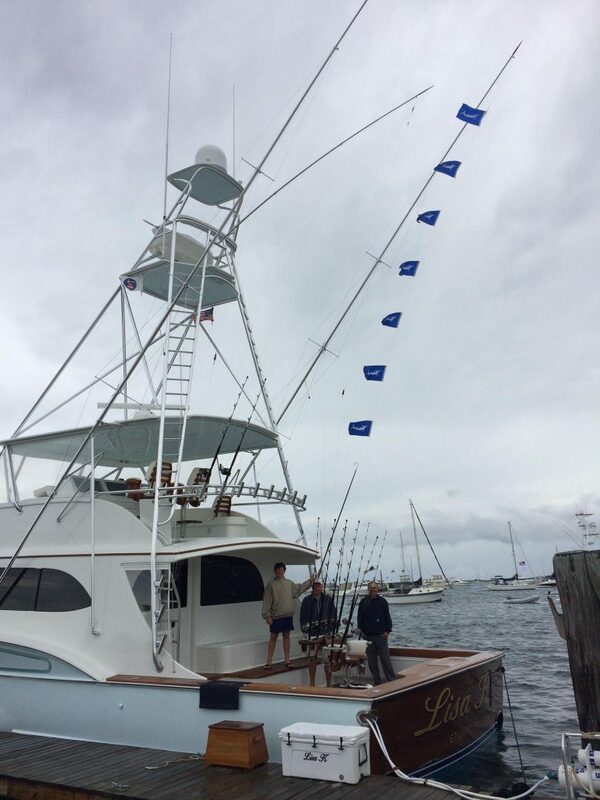 LISA K owner Ernest Audet was the angler on four of the marlin, and these fish put the Stuart, FL, team of Audet, Mark D’Andrea, Tyler Browel and Terry McCurdy though a lot of fast action on Tuesday, August 2. Nevertheless, the team took care of business and racked up an impressive 490 points to win the category. Seventy boats participated in the 2016 Tri-State Canyon Shoot Out. 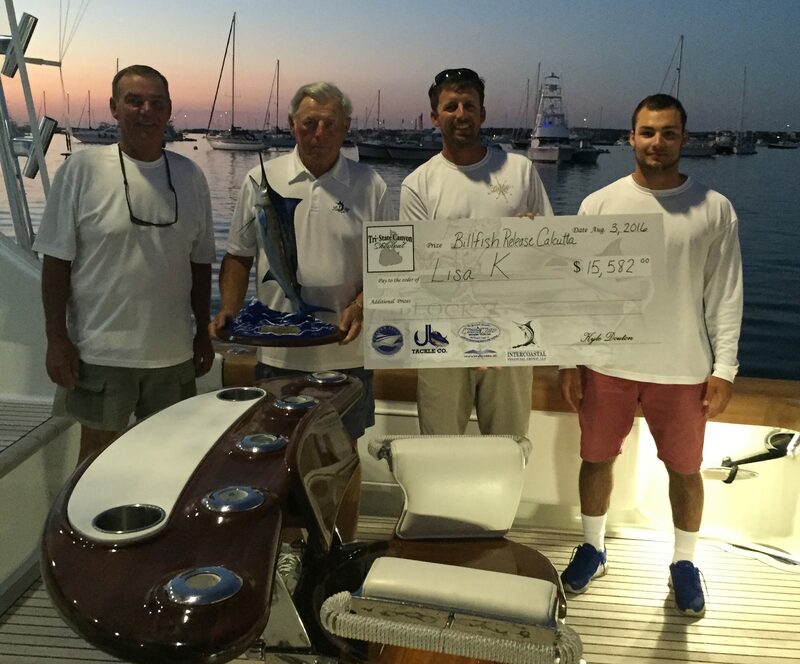 The tournament crew aboard the LISA K received trophies and a substantial cash award for First Place in billfish release. A huge shout out and congratulations to the owner and team of LISA K for their excellent fishing! Another great reason to “MANN UP,” and get the very best! !